As I was holding my newly arrived books, one of my students asked, “Mrs. Tomita, have you got new Geronimo Stilton books?” Reflecting on this, what else can I ask as a reading teacher? My students are avid readers and my job is give them what they are looking for. 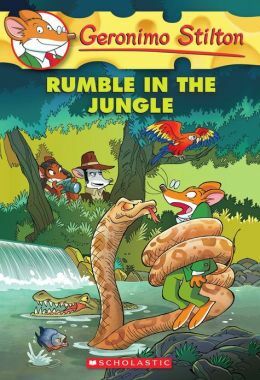 If you have reluctant students, try out the Geronimo Stilton series. Your students will find adventures and humor. On top of that, as a teacher, it is great to teach visual crafts in writing. You may find in several languages such as English, Portuguese, and Spanish.